JUMBO STEEL JS 603 Straw group packing machine provides more choices for straw packing to meet your specific needs. 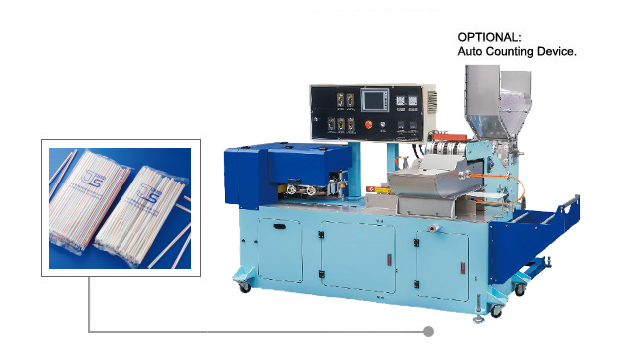 Upon request, the machine can pack 50 to 100 pcs straws in a pack-with high effciency. Also, it's available to connect the JS 603 Straw Packing machine to straw making machines or bending machine with a conveyor be a complete production line which results in higher productivity and greater convenience.